Product #6183 | SKU GPR-484 | 0.0 (no ratings yet) Thanks for your rating! Hosa GPR484 RCA to 1/4'' Adapter. This Splitter/Combiner Adapter features two RCA female connections and a single TRS 1/4" phone male connection. 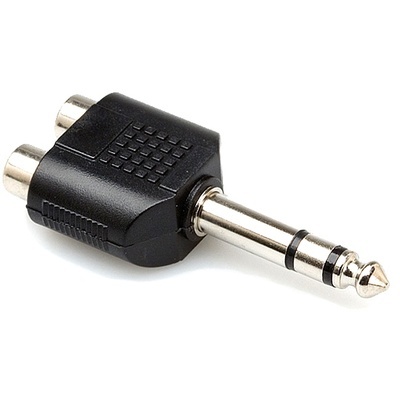 The adapter may be used to combine incoming stereo signal into a single 1/4" phone input, or split an outgoing signal into two RCA connections.